Gorgeous Mountain & Golf Course Views await you in this beautiful estate home situated in the highly sought after Verrado resort community. This home is highly appointed with luxury amenities throughout featuring, walk-in wine room, theater, exercise room, gourmet cook's kitchen, lavish master retreat and three spacious en-suite bedrooms. Enjoy year-round outdoor living in the beautiful backyard oasis complete with expansive covered patio, heated pool/spa, water feature, built-in BBQ, fire pit and fireplace. 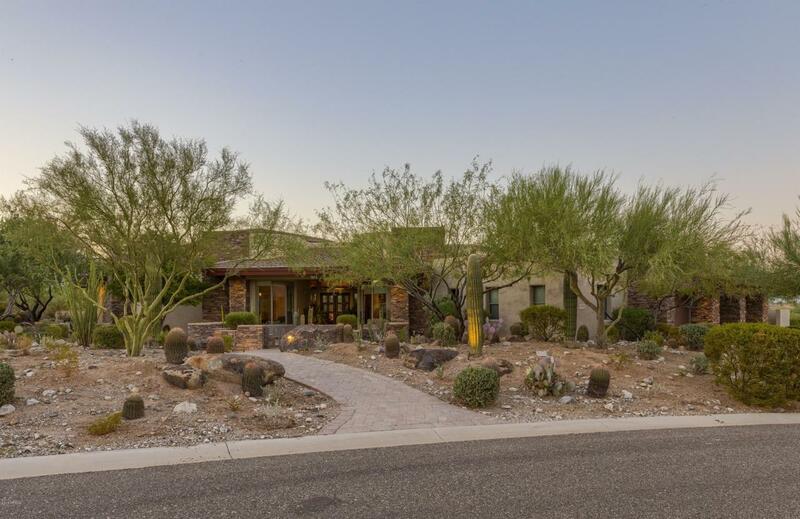 Verrado offers resort style living with two golf courses, club house, dining, shopping, fitness center, pools, and clubhouse all within walking distance. See MOTION VIDEO.